The Small Business Health Service is a partnership with Piedmont Health to provide affordable health care to un- and under-insured employees and family members of Chamber members. The Small Business Health Service does not provide health insurance but rather access to affordable primary health care, health services, dental services and medication. Participating in the service is free and gives members - and their employees and their dependents - access to primary care physicians for $60 per visit, including any in-house exams, as well as most prescription medications filled on-site for $10. Check out information from Piedmont Health on the Affordable Care Act and connecting individuals to coverage. The Dental Service program with Piedmont Health offers exceptional service at affordable rates. Dental patients are seen at Piedmont's Carrboro and Prospect Hill locations. The Small Business Health and Dental Service is open to any employees and family members of Chamber members. For information about joining the Chamber, contact Justin Simmons at jsimmons@carolinachamber.org or (919) 357-9982 or join our Chamber online. Download and complete a pre-registration form or pick one up at the Piedmont Health corporate office at 127 Kingston Drive in Chapel Hill (27514). Contact Amy Rix at Piedmont Health at (919) 698-7681 with questions. After submitting your form, call Piedmont to schedule an appointment. Be sure to mention your participation in the Chamber Small Business Health and/or Dental Service when scheduling. New health patients can schedule to be seen at any location, including the newly renovated Carrboro Health Center or Chapel Hill North location. New dental patients may schedule at the Carrboro or Prospect Hill centers. 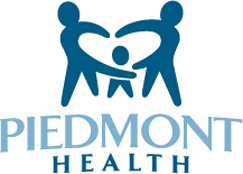 For a complete list of Piedmont Health Center locations, click here.